I have recently discovered handmade jewelry making! And since I can’t wear a dozen of necklaces and bracelets at the same time, why not open an online business and make some money out of something I love doing? Eh? Eh? I am also thinking of blogging tutorials about the pieces I make so let me know if that’s something you’d all want to see. Please check out Riviera: Handmade Accessories, an online shop of handmade necklaces and bracelets. We are on Instagram, too. All products are carefully handmade by me. Do you wish a long lasting care for every day? NIVEA Lip Care innovative moisture store effect – highly effective formula based on skin’s own hydramine and grape seeds extracts long lastingly supports the natural moisturisation of the lips, leaving them soft and smooth. I have gone through many tubes of lip balm trying to prevent my lips from flaking off too much which happens quite a lot. I have tried Maybelline’s Baby Lips and Nivea’s Med Protection recently, and neither of the two worked well for me. My lips were always dry and flaky even if I piled on the stuff. Lipstick would crack almost immediately and it made me sad and annoyed. Thankfully I have found this. 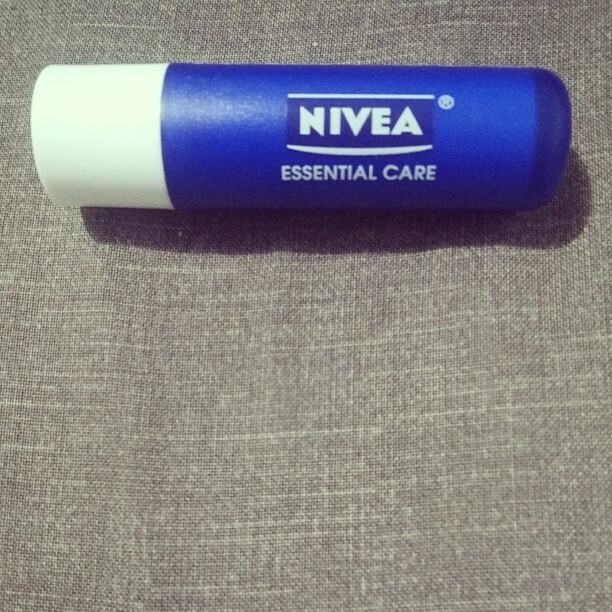 What I like about this product: This lip balm moisturizes lips like nobody’s business. It leaves them soft and smooth even after I have just applied this once! It’s a miracle, ladies and gentlemen. I like that it has no scent or flavor, because flavored/scented lip balms weird me out. It’s a good base for lipstick, applying it right after you get out of the shower or after you wash your face so it gets a little time to sit and lipstick glides on. I apply this heavily at night, so I wake up to nice smooth lips in the morning. What I don’t like about this product: Nothing, really. I mean, lipstick does come on a little more sheer if you put it on top of this, so don’t do that if you’d like full color. But I don’t really go for full color because I don’t really go anywhere fancy and I just need a tint on most days so it’s fine for me. EDIT: Now that I’m on my fourth day of using this though, I did notice that the stick does tend to be a little too soft when the weather gets a little warm, so you might want to watch out for that. Don’t twist it too far the tube or it might break and be a mess. It’s not a dealbreaker for me, I kinda like it to be honest that it’s a bit creamy, but other people might not want that in a lip balm so there it is. Rating: 10/10 Would recommend. Best lip balm I have tried yet, cheap, and it works like a dream. I have been an avid Paramore fan by the time they released their second album, but I have drifted away from them every now and then when I began listening to other stuff (The Strokes and the likes). One thing that hasn’t changed, which I recently rediscovered because of their new album Paramore, is that I am absolutely in awe of Hayley Williams’ vocal chops. I mean, for such a tiny girl, she sure can belt out a lot. The other thing is her hair. Seriously, there’s just something about her (almost always) red/orange hair. I always wanted her hair, but I don’t really want to do something as drastic as that to my own hair because I mostly like it black. The above video however got me thinking. I may actually just throw it out the window one day and do it. But, and this is a very hard but, only if I ever get out of the relationship I am in now. Which is really highly unlikely. But only something so tragic happening to my life could give me the push to actually do it. Go crazy and get an equally crazy hairstyle. So if you actually see me in the future sporting bright orange hair on one half and bright pale pink on the other half, please know that I am undergoing turbulent times and may need a hug.